Hello there Exigo Insight faithful and welcome back! We’re glad you’re here. Today, we are going to cover a topic that is becoming all too common into today’s cyber world – Phishing scams. In the past couple of years, these scams have become far more rampant across the globe, and many companies, large and small, have fallen victim. So today, we will discuss Azure’s Multi-factor Authentication (MFA) solution, and how it can help protect your organization from falling victim to this ever growing threat. You are an IT admin. You are heading to work on what should be a typical Tuesday (or whatever day it may be for you). You sit in traffic, grab your favorite coffee or energy drink, and pull into the parking lot to discover that you must park on the other side of the campus, and walk to the front door, in the pouring rain. To top it off, you forgot your umbrella at home. Over the weekend, the CFO received an email, saying that there was a parcel waiting for them. There was a link in the email that should have gone to the tracking information. But what it went to was a malicious website. Boom! Malware infected the machine. Passwords were stolen, and now it seems that there were successful attempts to log into the companies SharePoint portal, where sensitive information lay in wait for the remote attacker. This is scary. How do you stop it? You’ve have everything you could possibly need to prevent this, but there is one exception: a power user. That’s right. No matter how much you educate the end user, it’s hard to keep them abreast of all the nasty security vulnerabilities that are out there. It’s not their fault. It’s not their job to keep up with IT security and possibly threats. In a world where everyone now has a phone, an email, or some sort of app, there are now ways to use them to your advantage. That my friends, is Multi-Factor Authentication. So what is Multi-Factor Authentication? A multi-step authentication scheme which requires two physical keys, or two passwords, or two forms of biometric identification is not two-factor, but the two steps may be valuable nonetheless. A good example of this is the two-step authentication required by Gmail. After providing the password you’ve memorized, you’re required to also provide the one-time password displayed on your phone. While the phone may appear to be “something you have”, from a security perspective it’s still “something you know”. This is because the key to the authentication isn’t the device itself, but rather information stored on the device which could in theory be copied by an attacker. So, by copying both your memorized password and the OTP (over the phone) configuration, an attacker could successfully impersonate you without stealing anything physical. So what is Azure Multi-Factor Authentication? 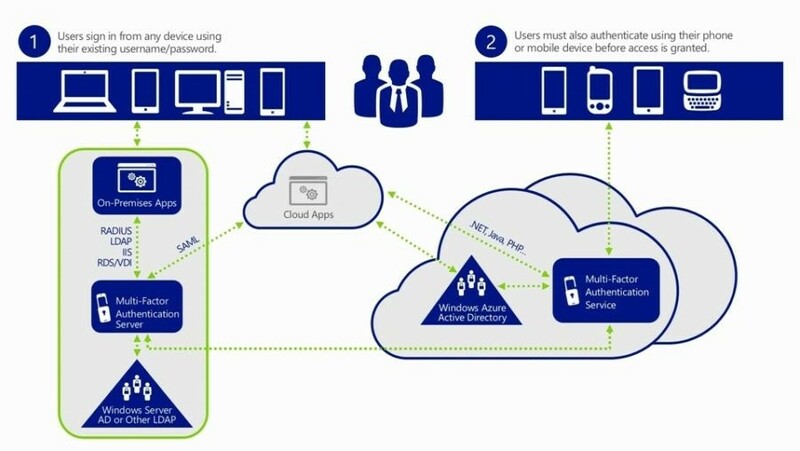 Azure Multi-Factor Authentication (MFA) is Microsoft’s two-step verification solution. Azure MFA helps safeguard access to data and applications while meeting user demand for a simple sign-in process. It delivers strong authentication via a range of verification methods, including phone call, text message, or mobile app verification. Easy to Use – Azure Multi-Factor Authentication is simple to set up and use. The extra protection that comes with Azure Multi-Factor Authentication allows users to manage their own devices. Best of all, in many instances it can be set up with just a few simple clicks. Scalable – Azure Multi-Factor Authentication uses the power of the cloud and integrates with your on-premises AD and custom apps. This protection is even extended to your high-volume, mission-critical scenarios. Always Protected – Azure Multi-Factor Authentication provides strong authentication using the highest industry standards. A call is placed to a user’s phone asking them to verify that they are signing. Press the # key to complete the verification process. This option is configurable and can be changed to a code that you specify. A text message is sent to a user’s smart phone with a 6-digit code. Enter this code in to complete the verification process. A verification request is sent to a user’s smart phone asking them complete the verification by selecting Verify from the mobile app. This occurs if app notification is the primary verification method. If they receive this notification when they are not signing in, they can report it as fraud. The mobile app on a user’s device generates a verification code. This occurs if you selected a verification code as your primary verification method. For the mobile app verification methods, Azure Multi-Factor Authentication works with third-party authentication apps for smart phones. However, we recommend the Microsoft Authenticator app, which is available for Windows PhoneAndroid, and IOS. Ok, but what if I want to use this On-Premises instead of just in the Cloud? Azure MFA is a great multi factor solution. Where you are all for the cloud, or want to keep you important services on-site, Azure MFA can help combat today’s ever increasing password security threat. 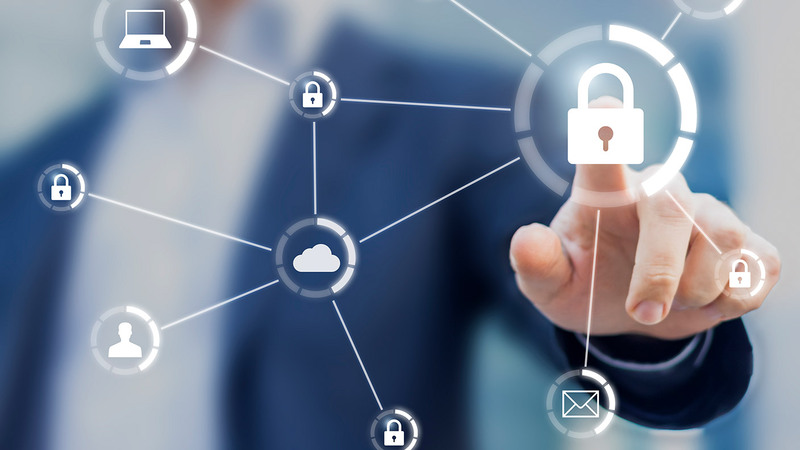 Attacks are occurring more often, and weak or stolen user credentials remain the primary entry point for hackers, which is why authentication must be included in your overall security plan. It’s hard enough to keep track of every threat and every new phishing attempt that’s current out in the wild, and it’s even harder ensuring that your users are safe while online as well. Multi-factor authentication is a best-practice approach to help keep user data secure and keep your organization out of the headlines.